Happy Holi 2019 Lucky Draw Contest You Can Win Big Prizes This Holi. Brand new day and we are here on the eve of Holi, presenting you one of the most exciting contests. 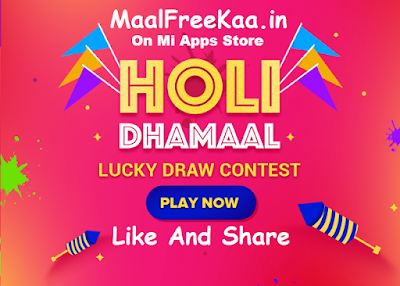 Holi Dhamaal Lucky Draw Contest exclusively for you. Visit Mi Apps Store to play now and win exclusive prizes like 49 inch Mi TV, Redmi Note 7 Pro, Mi Soundbar, Mi Band 3, and more. So hurry Get Your Lucky Draw.